Julia’s home became a focal point for a crowd of bohemian artists, writers and poets. Key friends included her neighbour and Poet Laureate Alfred Lord Tennyson and her artistic mentor, the sculptor and painter G.F. Watts. Dimbola was ideally located just 10 minutes walk up from Freshwater Bay, approximately a third of the way along what has since been named ‘The Tennyson Mile’. 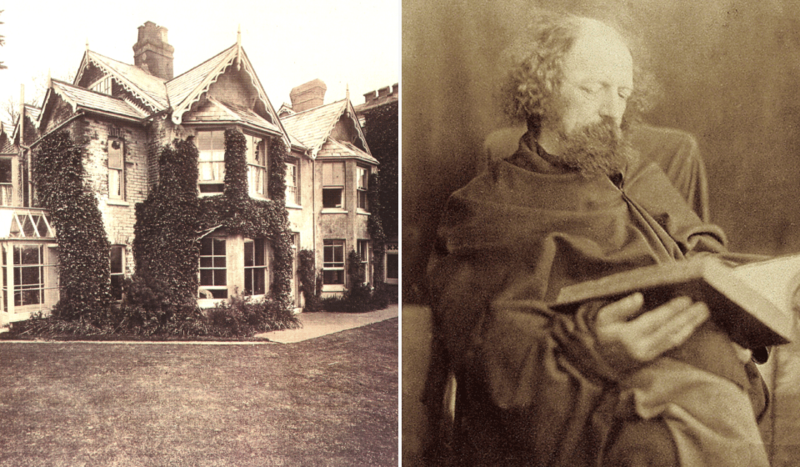 Other famous Victorians who lived nearby or made visits to Dimbola or Farringford, Tennyson’s home include the Pre-Raphaelite painter William Holman Hunt, the actress Ellen Terry and Lewis Carroll, author of Alice in Wonderland.